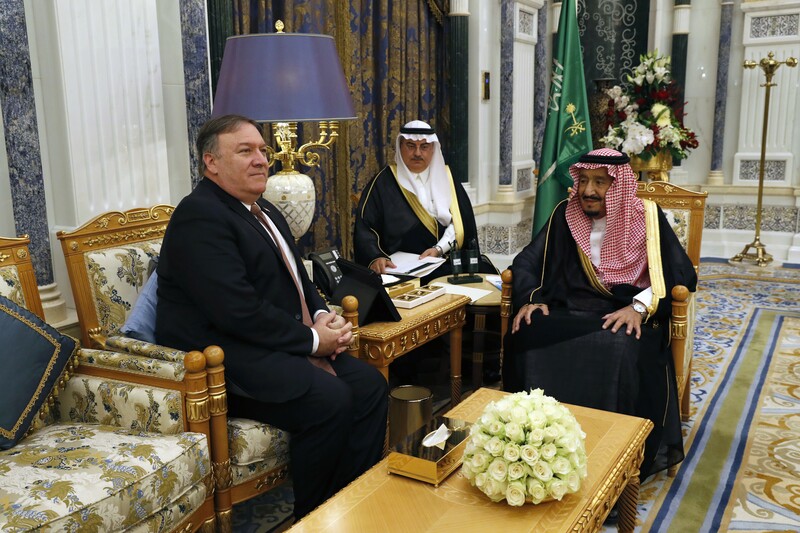 Secretary of State Mike Pompeo, left, meets with King Salman of Saudi Arabia in Riyadh on Tuesday, Oct. 16, 2018. Pompeo met with the king, the crown prince and other top officials to discuss the disappearance of a prominent Saudi journalist who Turkish officials say was killed and dismembered inside the Saudi Consulate in Istanbul. SPORTS: The NHL announced Seattle is getting a hockey expansion yesterday. NEWS: The Spokane County Commission is joining a forthcoming lawsuit against the state for changes that would expand it from three to five and mandate district-only elections. The news about Kashoggi's death signals a growing rift between the president and the GOP, according to the Hill. "No, it’s not the Sonics, and there will still be a huge void in Seattle until they return. But the winter sports scene has been a dreary landscape for the past 10 years, and this will be a jolt of fresh adrenaline in the cold, wet, gloomy months," writes Seattle Times columnist Larry Stone about the recent NHL news. Most East Valley High School students stayed home yesterday after an anonymous social media post on Monday threatened a school shooting, the Spokesman-Review reports. “It’s happened to every other school around us and it was inevitable that it would happen here," one student said.